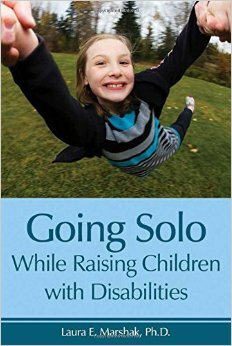 The author weaves together extensive interviews and survey results of solo mothers and fathers (and grandparents, too) with reliable coping strategies gleaned from 25 years as a practicing psychologist and specialist in disability adjustment. The book’s insightful personal narratives and the author’s deconstruction of these to offer universal lessons–from the basic (e.g., practice mindfulness to de-stress) to the profound (e.g., cultivate gratitude as the antidote to resentment)–will help readers assess and transform their own lives for the better. This entry was posted in Family Relationships, Our Library. Bookmark the permalink.